Evo & Grace: The WanderLusts: The Singing Diplomat, pays tribute to the Philippines. The Singing Diplomat, pays tribute to the Philippines. Tag as the Singing Diplomat from the Swiss Embassy in Manila, Mr. Raoul Imbach is not stopping in introducing his music, like in his past country assignment Imbach usually records songs from his heart as a gesture of acknowledging his new found home. 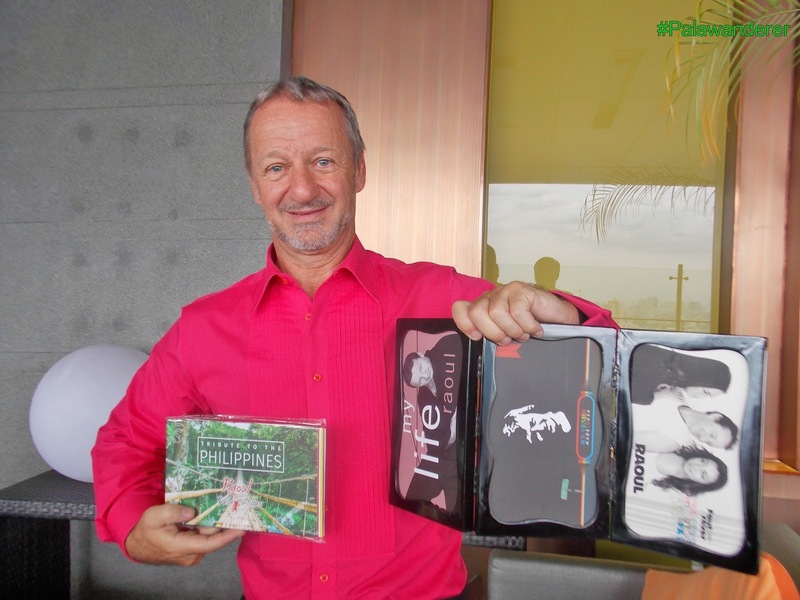 Imbach is the Deputy Head Mission of Switzerland Embassy, he is living while working in the Philippines for the past three years, and recently he revived his band “The Wild Tortillas” to accompany him not just for gigs, but for his 11th album that comprise of 14 track under the title of “Tribute To The Philippines”. His first ever USB album is officially launch last November 19 at The Marco Polo Hotel in Ortigas Center. At the very early age, Imbach said that singing is his passion but he clarify that he is not after the fame or money rather an expression of his talent, and to give back. The proceed of the album he donate it to charity, like this time it goes to Carmelite Convent of Pink Sisters in Batangas City. Imbach originally write all the songs with the help of his band that compose of Filipino members, all of them have Tagalog lyrics. 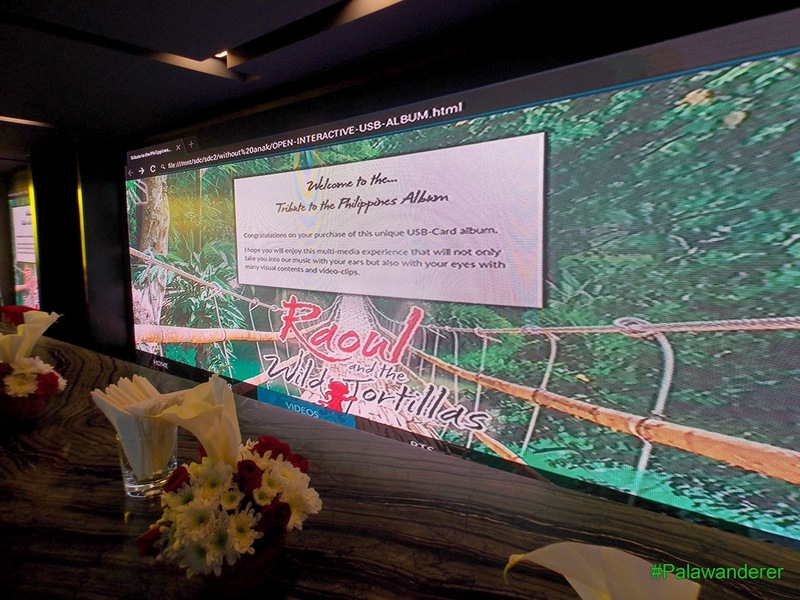 One of the song is called “It’s More Fun in the Philippines” that serve as the carrier single. “I usually do it in every country I go, I do one songs of the language of the country, but in the Philippines it started one, and then two and three, and now half of the album is in Tagalog, it represent a lot of things that I lived here, the things I’ve done here, the way I feel about the Philippines, so it’s a tribute, because eventually I will leave, but I would like something to leave behind, and Philippines has a lot to offer, it’s nice to recognize it thru music.” Imbach said. He also wish to make a cover of “Anak” of Freddie Aguilar, but it didn’t reach the deadline for the album due to some copyright issues, but he is still working on it and hopefully soon he can record it since he adore Ka Freddie and all of his nationalistic songs. I also ask Imbach if he open to join some reality TV singing search, as we all know many foreigners or expat lately are into this kind of search, and he welcome the idea, even though admitted he is too old to join such competitions, but he is willing and able if given a chance. Tribute to the Philippines, The Album cover. As a diplomat assign to many countries even before here in Manila, he comes with his family, yes he is married to a Vietnamese and they are together for 12 years now. 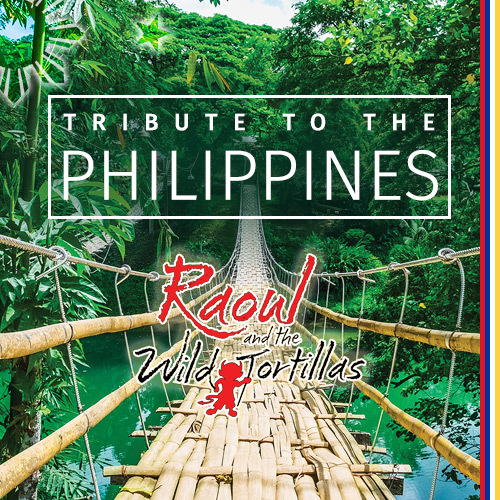 Raoul and the Wild Tortillas are compose of Jaime Vilas on the bassist, Derick Manubay on the guitar, Bok Rennie Vargas on drums, Ferdi Salamat on percussions and Marlon Victor Lim on keyboard. They are open for gigs especially this coming Holiday seasons, they are set to perform on Luneta Grandstan come 5pm of January 7 next year and its free to all. All his music are in different digital channel ready for download like ITunes, spotify and many more. His videos are all in Youtube and you can check updates at his official site at www.thesingingdiplomat.com or thru his Facebook page.